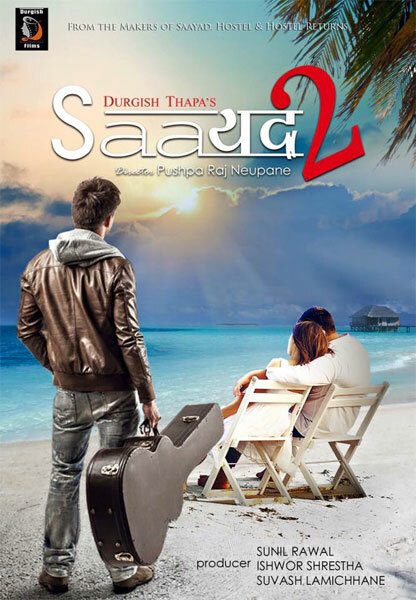 SAAYAD 2 (2016 / 2073) is the Nepali Movie made under the banner of Durgish Films. This banner is also know for it successful movies Saayad, Hostel and Hostel Returns. Saayad 2 name is adopted from its first franchise Saayad but the story, casts are totally different from the first movie. The movie stars Sushil Shrestha, Sharon Shrestha, Amrit Dhungana, Kushal Pandey, Sunil Rawal, Sushil Sitaula, Nisha Karki, Rubina Shrestha, Buddhi Lal Magar etc. The movie is Produced by Sunil Rawal, Ishwor Shrestha, Suvash Lamichane and Directed by Pussparaj T Neupane. The movie release date is not finalized yet. Durgish Films presents, Nepali movie Saayad 2. The movie cast Sushil Shrestha, Sharon Shrestha, Amrit Dhungana in the lead role.